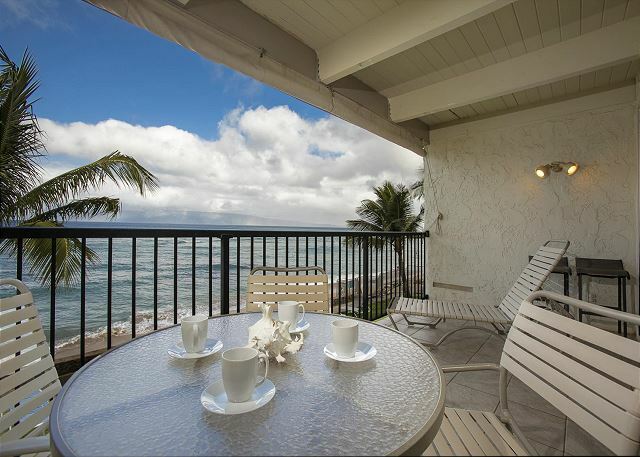 Fantastic Deluxe ocean front unit 2 bedroom 2 full baths. 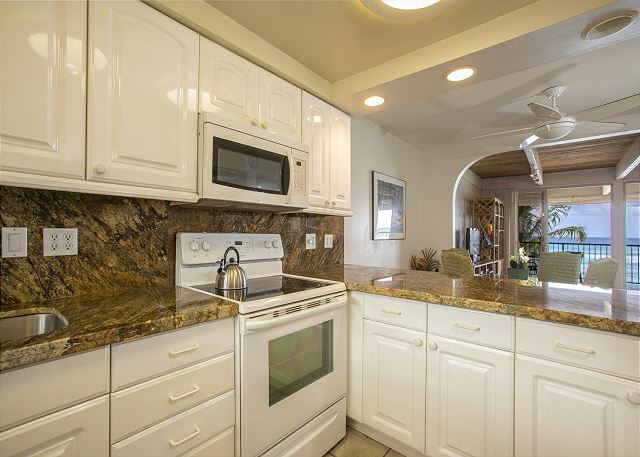 Remodeled kitchen with new appliances and granite counter-tops. New furniture in living area with large flat screen TV. New King bed in the master bedroom. Master bedroom is on the ocean side. 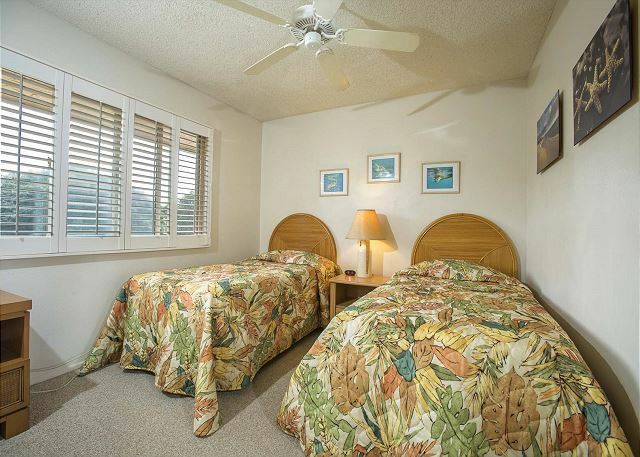 Both bedrooms are upstairs offering lots of privacy Located near beach access and swimming pool. Beautiful unit with all the amenities of home. 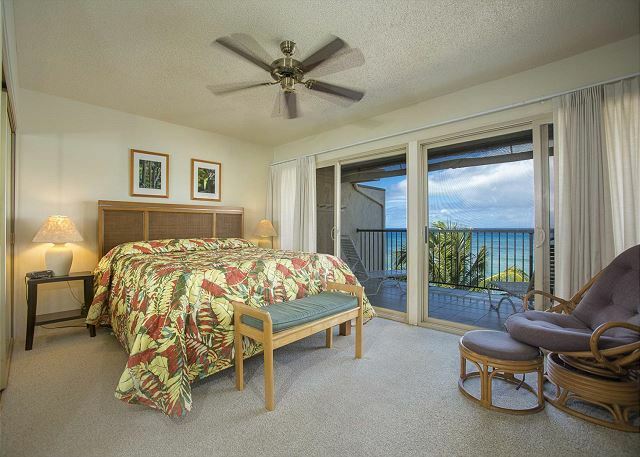 Let C203 be your home away from home for an unforgettable Maui Vacation!! No A/C available in this unit. Enjoyed eleven days at Lokelani resort, a place we have stayed at several times previously. 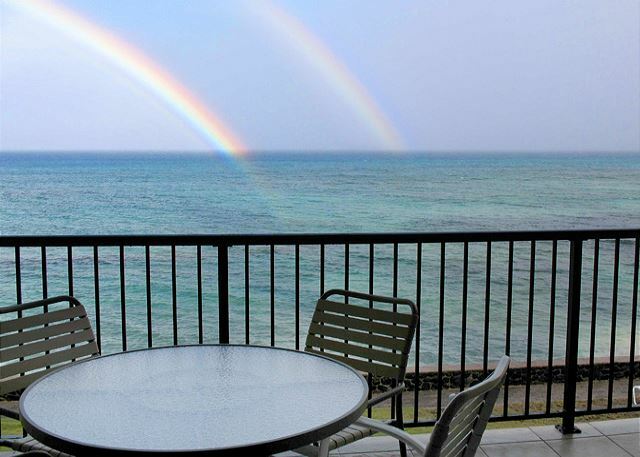 We love the fact that every unit sits right on the beach, with great views from every level. The ladies in the office are super nice, and willing to help with a any issue that might arise. We will definitely return in another year or so. Relaxing time. Liz is wonderful. Mahalo for being loyal guest to Lokelani and we look forward to your return. Escaping the first snow storm! The view from our condos two levels was beyond amazing. We spent all of our home time on the lanais. The sound of the waves was the only sound we heard and it was awesome. We rented snorkels and masks and were thrilled with the corral, fish and turtles that live just Lokelani’s neighbouring beach. We went out long enough to shop, experience a few other sights but were very happy to just stay “home”. 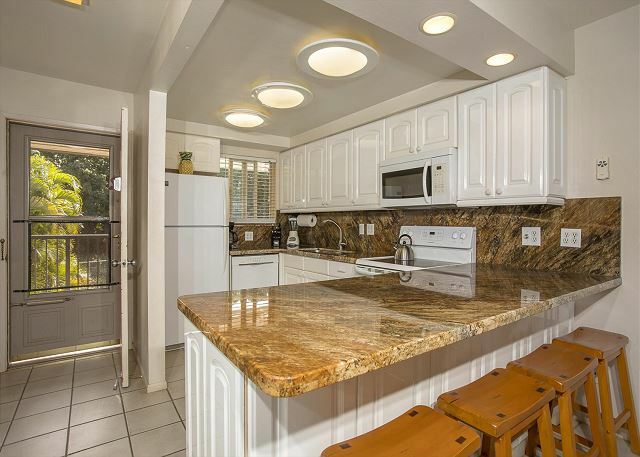 The condo could certainly use some TLC as it is the perfect location and is part of a very good condominium complex but needs a little attention to make it a first choice. Lokelani feels like home and it’s manager etc. are friendly and accomodating. We have stayed within the complex four times and enjoyed every stay. We recommend it all the time. We have already booked Lokelani for May! 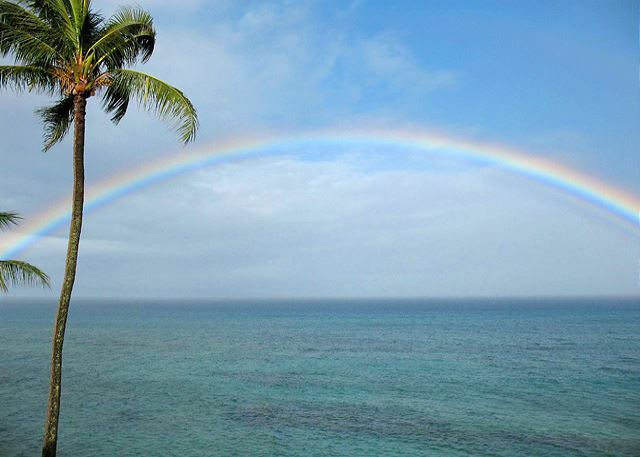 Mahalo for staying with us and thank you for your comments. We are working with the owner on some improvements. 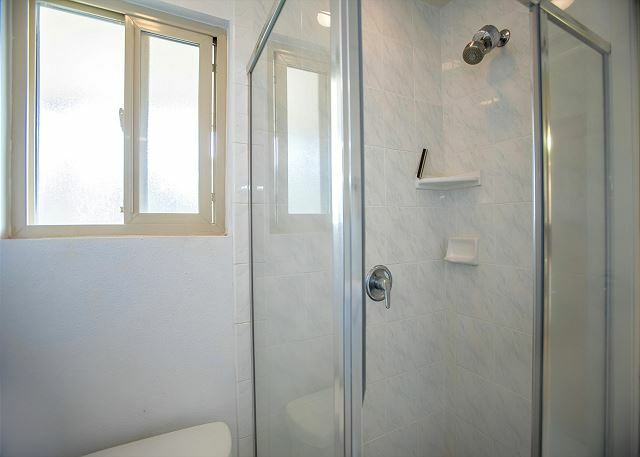 Beautiful condo, well equipped in every way. Snorkeling good if you could get passed the surf!!! Liz and Johnny are outstanding. They are very attentive to all guests and keep the property in wonderful shape. The condo was perfect for my family of four we loved being so close to the ocean and having two balconys Fans kept us cool enough Afternoons were a bit warm in May but the mornings and nights were very comfortable The kitchen was very well stocked and we used it daily Our trip was fabulous!!! Clean, stocked and well cared for! The views were spectacular and being close to the beach was really nice. Unfortunately, the unit doesn't have AC and one of the living room fans wasn't working. Luckily we found a plug in fan in a closet that really helped. I really appreciated the cleaning fee refund to make things right. I would definitely stay at Lokelani again, although perhaps in a more modern unit with AC. It was an amazing vacation and I will certainly recommend Lokelani again for its beautiful views, friendly staff, great location, good value, and beach with turtles. 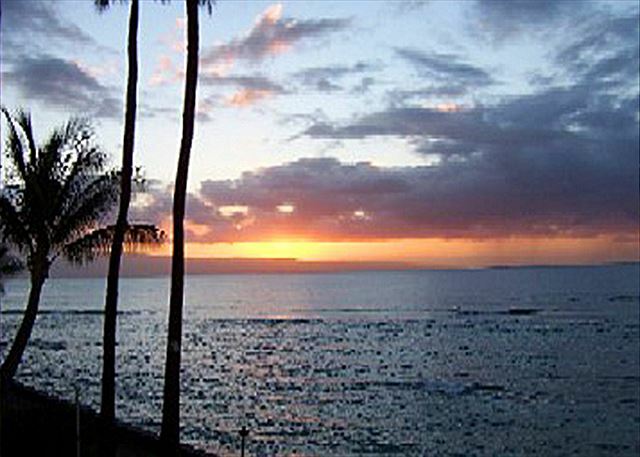 Lokelani condos are located right on the ocean with easy beach access. I would definitely stay again, but perhaps a different unit. C203 is ready for some new finishes. Probably one of the best locations in the Island and the most helpful management staff. I will highly recommend this property to any visitor and will stay there again in my next visit. 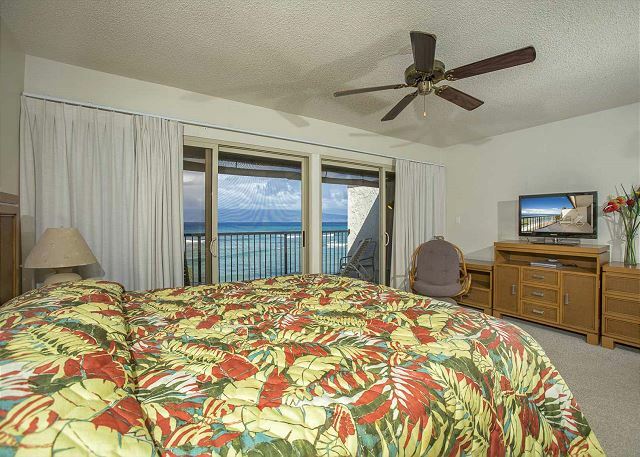 I love the master bedroom, it have the view of the mountain and the beach. Thank you for staying with us. We hope to have you as our guest again. 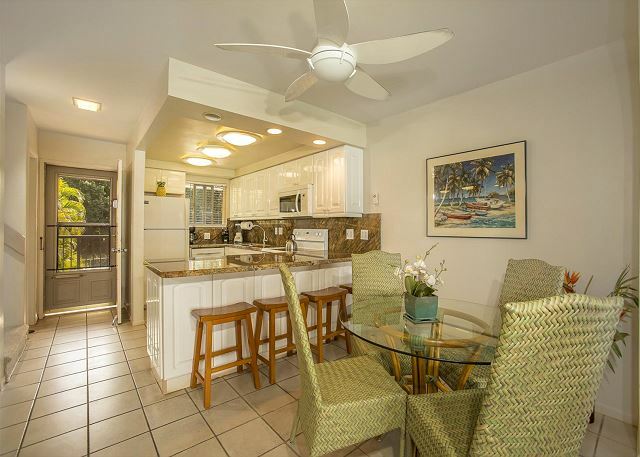 We booked 4 units in Lokelani to celebrate my Mom and Dads 50th Wedding Anniversary! 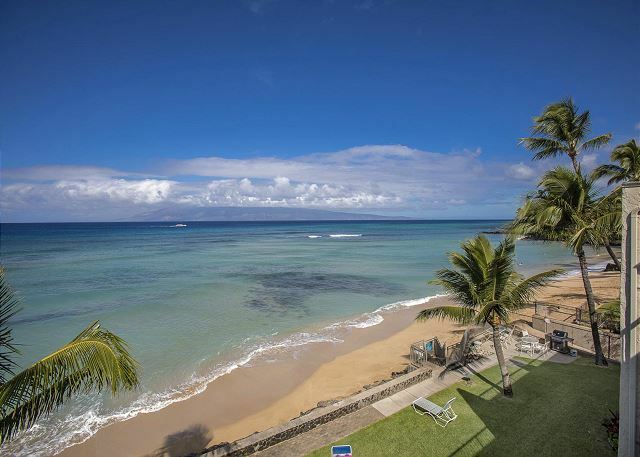 From the moment you walk through the front doors and see the view of the Ocean, Palm Trees and Molokai, you know its going to be a special stay!! The unit and its location was wonderful. Close to the Farmers Market and other amenities, yet away from the Hustle and Bustle of the Resort like places. The on-site Manager and Handyman were phenomenal! They answered all our questions, were extremely friendly and acted very quickly when we had any issues!! I don't think we would have had the same experience in Maui if we wouldn't have stayed at Lokelani. We will certainly stay here again........hopefully in the near future. 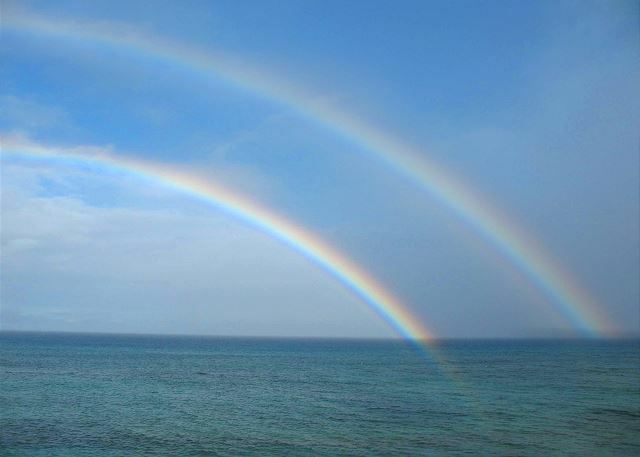 Spent hours on the lanai watching rainbows and islands and finally catching up on my reading. 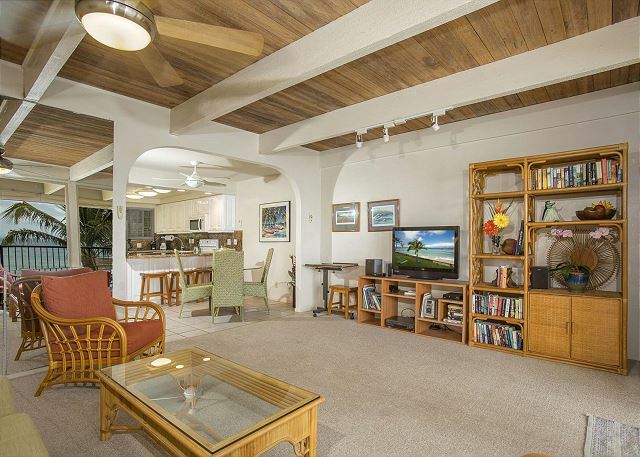 Close to all that west Maui offers, and a short stroll to the bus stop and farmers market. The vacation rental was great. Liz helped us with a problem and it was solved. She is an effective and cordial representative and tended to all of our questions and requests. 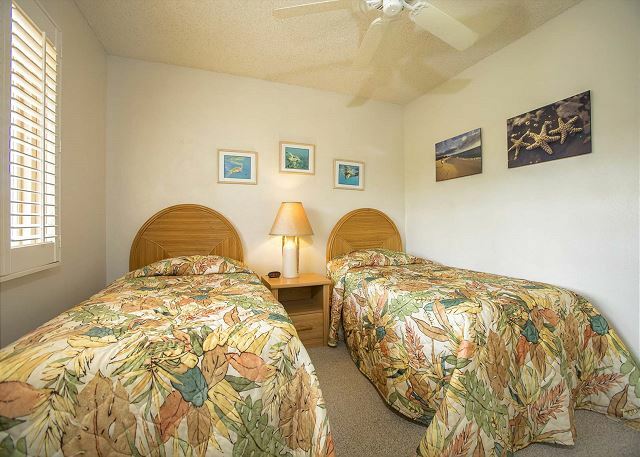 Our unit was not air conditioned but evening wine on the lanai was very comfortable and we were entertained by several green sea turtles who came up on the beach in front of our unit.Not as many whales as last time but we did see several from our lanai. We miss the sound of the surf and the cool night breeze that made sleep heavenly. 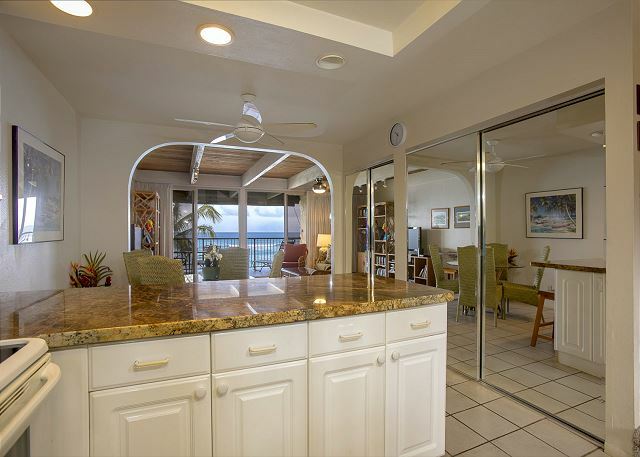 If you want a touch of oceanfront paradise this vacation rental fits very well. Had a wonderful time. Absolutely no complaints whatsoever. The condo was perfect. 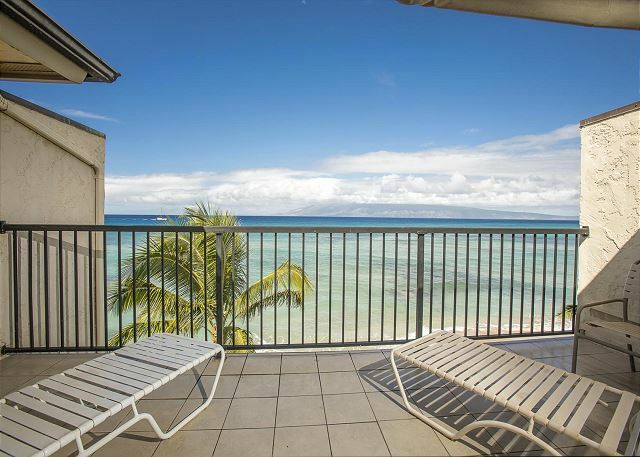 If you are looking for a place to stay right on the ocean, Lokelani is it. a guest from Salt Lake City, UT does not recommend this vacation rental. Beds are incredible uncomfortable and knowing that i wanted a vacation to relax and sleep this place did not do it. The master bedroom also was infested with small ants that were annoying. The location is good, the beach is good for boarding but the apartments for the money was a disappointment. Nice and clean. Great location right on the beach and within walking distance to coffee and groceries. Assigned parking so never needed to worry. The condo was great for our 6 night stay. Wonderful location right on the water with a nice little beach only steps away. We saw sea turtles frequently on the beach or in the water. The condo was comfortable and roomy enough for five of us. Overall, we enjoyed our stay very much. The on,y issue we had early on was an initial problem with a bad phone number to the rental office that was provided on the website we booked through. It took some effort to figure out the correct contact information, but then everything went smoothly after that with great support from office staff. Excellent ocean facing property. I loved that it was so close to rest of West Maui. Condo was also very good , great views from Master bedroom , living room. Turtles and whales! Peaceful oceanfront location, just minutes from Kaanapali and Lahaina. View the website to choose your rental. As always, a lovely visit. One suggestion: we would like to see a no smoking ban anywhere near the condos. Allowing smoking on lanais just doesn't work if it drives other renters off their lanais and inside with the door closed. We had a family vacation where 14 of us traveled and stayed at the Lokelani Condos. We had 3 different units and they were all extremely nice and comfortable. Staff is exceptional also. I would recommend it to anyone. Everything was absolutely wonderful. The condo was well furnished, with everything we could ask for, or need. Kim took care of everything we needed (evenincluding replacement TP and laundry detergent). It really was a home away from home, except with a much better location ...did I mention the location, beachfront, with a perfect little beach to swim at in the afternoon; Honu (Green Sea Turtles) swimming by, one very large one even coming up for an overnight rest one day. A very enjoyable experience, I would stay there again. We were 5 adults,a child, and an infant, and we had lots of room. We had an incredibly relaxing vacation in Lokelani. 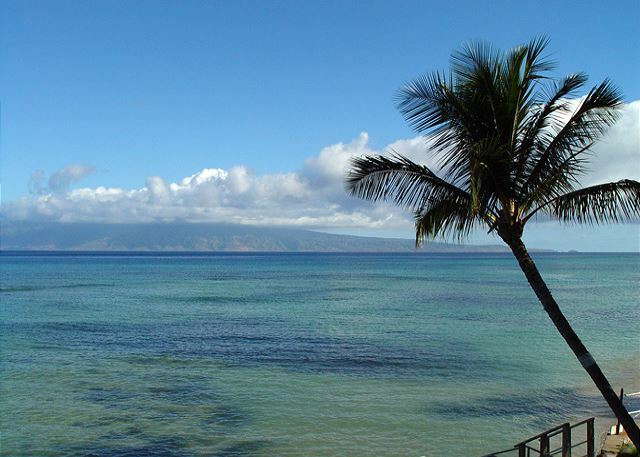 There was a lot to do in Maui, but everytime we got back to Lokelani, we would just sit and enjoy the incredible view from our balcony, listen to the sounds of the waves, and watch the turtles. The staff at Lokelani are great to work with and accommodate special requests when at all possible. I love the small complex and that we had an assigned parking space every day so we did not have to search for a spot every time we left. BBQ grills are located in several areas of the property and we liked having those available. The unti we stayed in was fine. The kitchen was nice and updated although other areas need the same, mainly the bathrooms. 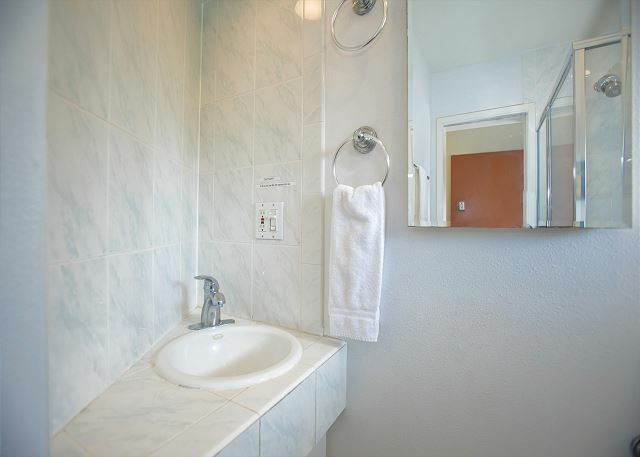 Bathrooms are small but not much can be helped there as that is the design but they do need some updating. The beds were comfortable but some cooler sheets and mattress pad might be helpful. 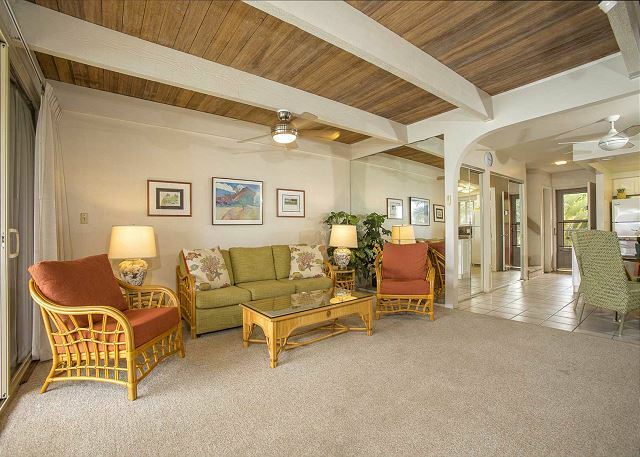 There are ceiling fans but floor models are needed for this unit for extra circulation and comfort. I think if you work out doors every day then you would not mind it but if your office and home is air conditioned - you are most likely going to want it there. We felt it hard to sleep all night due to the heat (and my husband works outside in the humidity every day). At the very least, a/c is needed in the upstairs area. The wind is there but it does not blow into the unit like I imagined. We would like to be comfortable at all times and not waiting for the "cool" time of the day. Most condos we have stayed at before had more items for use as well. Beach items, snorkeling items, beach toys etc as well as cooking items in the kitchen such as condiments, sugar, coffee etc. This unit had few items in those areas as compared to my previous experiences. That would be a huge savings in your grocery bill. 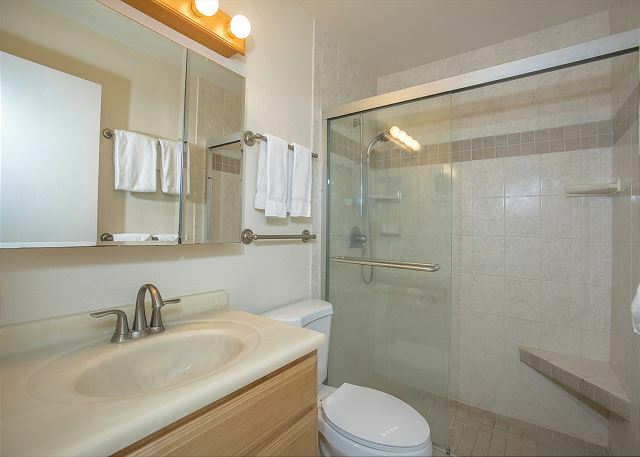 Overall it is a nice place to stay, I would just be more particular in the unit and what each has to offer as far as amenities. 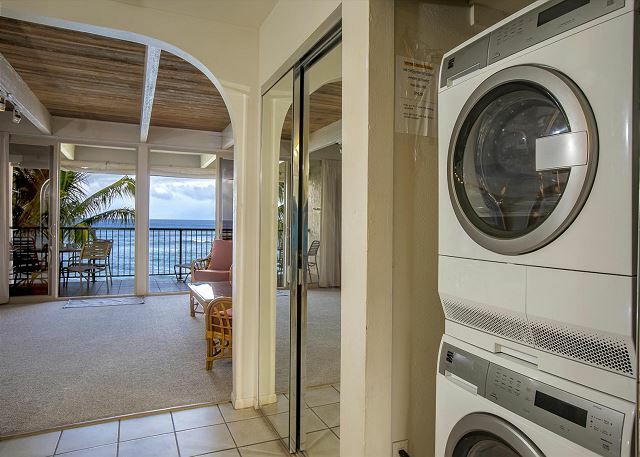 Overall you come to Maui to enjoy the outdoors and that is the focus and from the Lokelani, it is a great home base during your stay. I would stay there again perhaps in a different unit. The view is wonderful and you can't beat that. It is a nice quiet complex and easy access to the beach next door. My friends and I loved Lokelani. The place suited us perfectly--great views, well-stocked kitchen and a beach with calm, clear water right out the door. Highly recommended!